Harpo looks soooo sad and sorry! 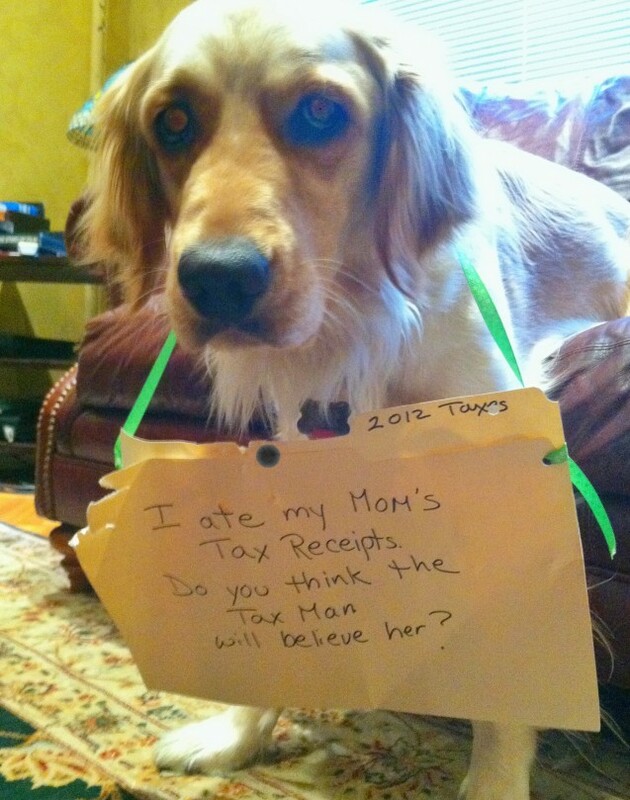 Show the tax man this photo!! And hope that he is a dog parent too!!! It was an accident. I am sure you can explain the situation. Most people don’t pay taxes at all so you should not sweat this. Pet the dog and get a tasty treat to celebrate.